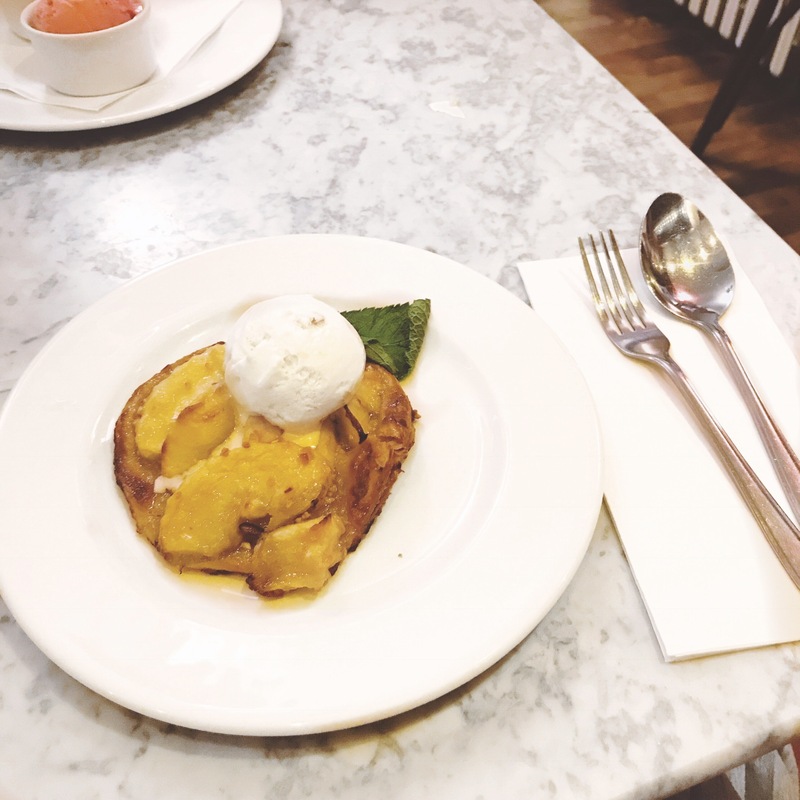 Cast your minds back to October (I know, it feels like years ago), and if you’ve got a stellar memory, you’ll remember I did a couple of posts in collaboration with Cafe Rouge, talking about their Autumn Menu + their Breakfast Menu! 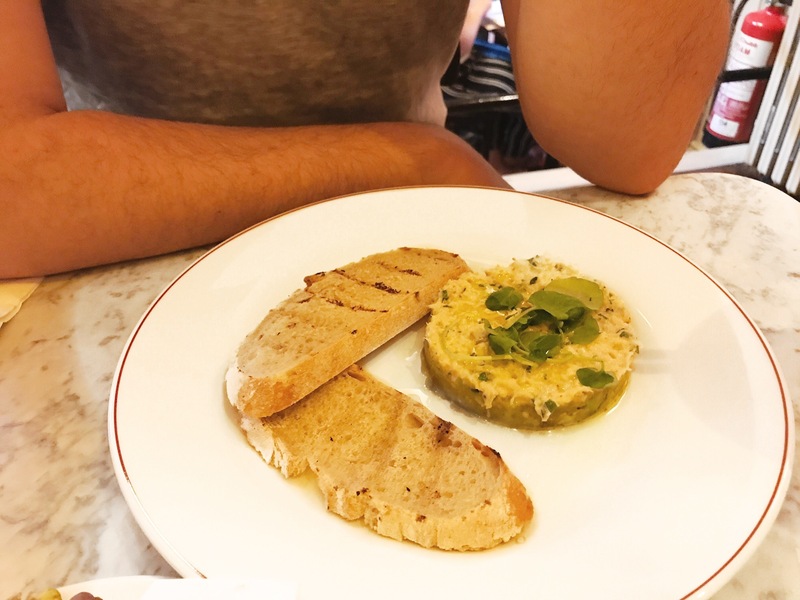 Fastforward to May and when an invitation appeared in my inbox to try Cafe Rouge’s Spring Menu, I jumped at the chance, after two great experiences last year, I was excited to head back! We booked in on a Wednesday night, completely forgetting it was half term, so the restaurant was pretty busy! Seemingly the restaurant had forgotten too because they only had one waiter, who spent most of the night speeding around! You’d never have known though, as we were never left long without being checked on, and our food + drinks arrived incredibly speedy! For someone who was spread pretty thin he was also in a great mood, which was appreciated too! Since Cafe Rouge has updated their menu for Spring, we spent a little longer than usual perusing the menu, so we ordered some drinks and olives to keep us going! 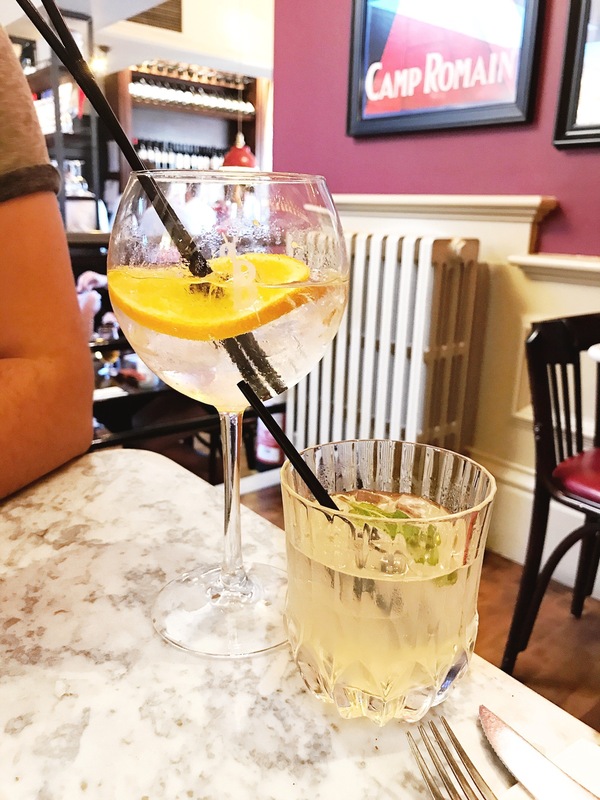 The drinks were fantastic, as part of the Spring menu they have a new range of flavoured gin drinks and flavoured sparkling waters in different fruity, summery flavours! 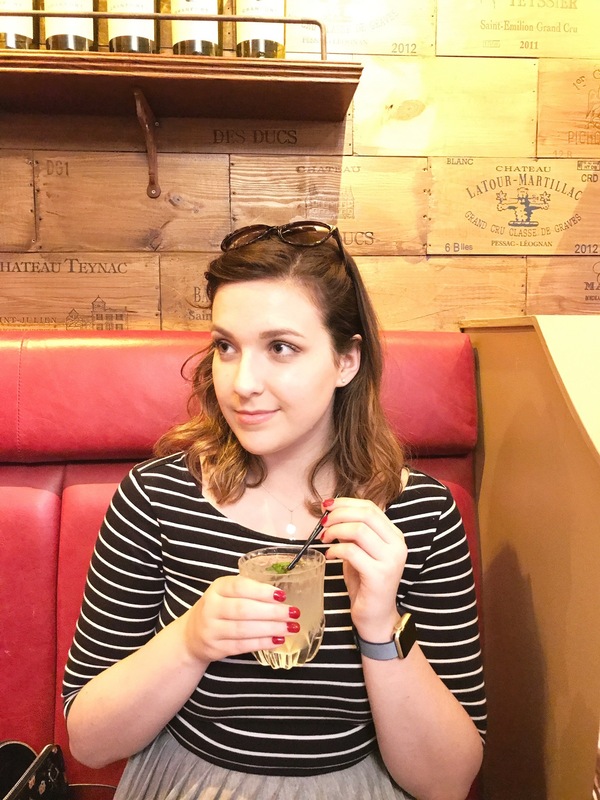 Connor ordered a Grapefruit and Orange Gin Bloom, which went down rather quick, and since I was driving I ordered a French Garden Fizz, a sparkling elderflower, mint, lemon and lime drink that was entirely delicious (I ended up ordering two!). Drinks in hand we finally ordered starters and settled back to enjoy the atmosphere! Our local Cafe Rouge is in Westbourne, a gorgeous, quieter part of town filled with little boutiques and independent coffee shops. It’s the perfect place to sit and watch the world go by, especially if you get to sit in the big windows! This time we were sat further to the back of the restaurant which was definitely cosier, but didn’t make for the best light for photos! Everytime I’ve been to Cafe Rouge, the signature Soup A LOignone has been sold out, so this time I had to order it! 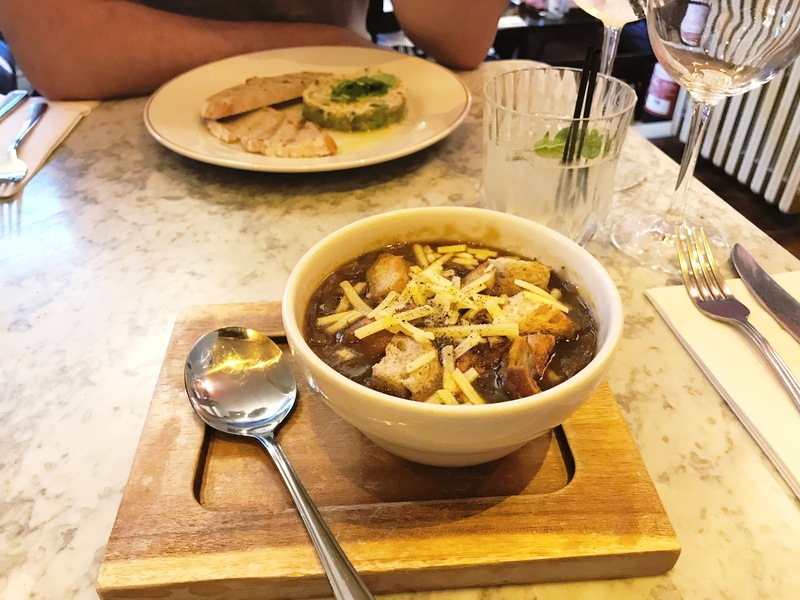 It was amazing, incredibly tasty and not too thin (I really hate watery french onion soup), topped with cheese and chunky croutons. It was a generous sized portion too, for a lighter lunch bite it’d be perfect! Connor gets very excited when we visit restaurants that serve seafood (since I don’t eat and refuse to cook it!) so when he spotted the Tian of Crab and Avocado on the menu, it was a given he’d order it. Seasoned avocado topped with fresh crab meat, a little coriander and mayo served with sourdough toast, there wasn’t a scrap left on his plate and he looked pretty smug after, which I’m taking as good signs! Starters out of the way, and our mains were ushered to the table, along with a fresh round of drinks – same again for me, Elderflower and Raspberry Gin Bloom for Connor! Con ordered the Moules, piled high in a cream, garlic, and white wine sauce, with a side of fries. 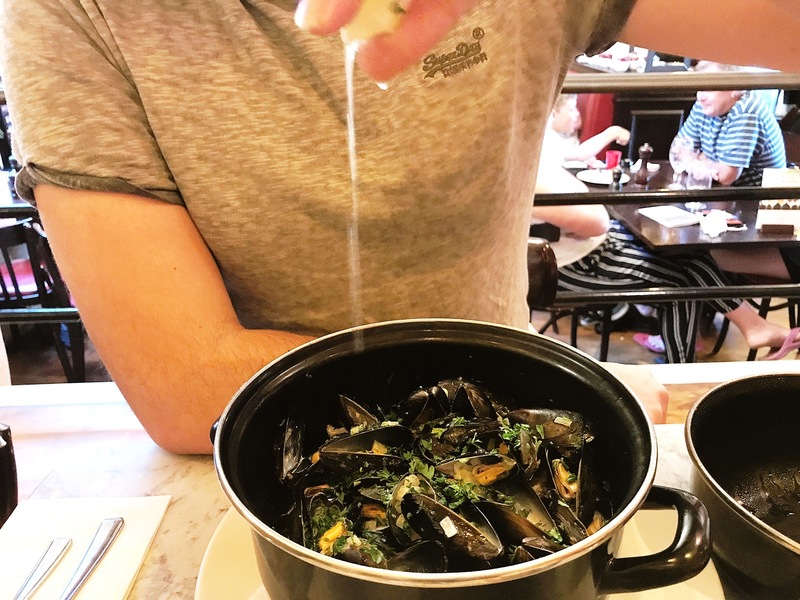 The last time Con ordered Mussels in a restaurant they were really disappointing, but these definitely made up for it! A really generous portion size with a delicious sauce. 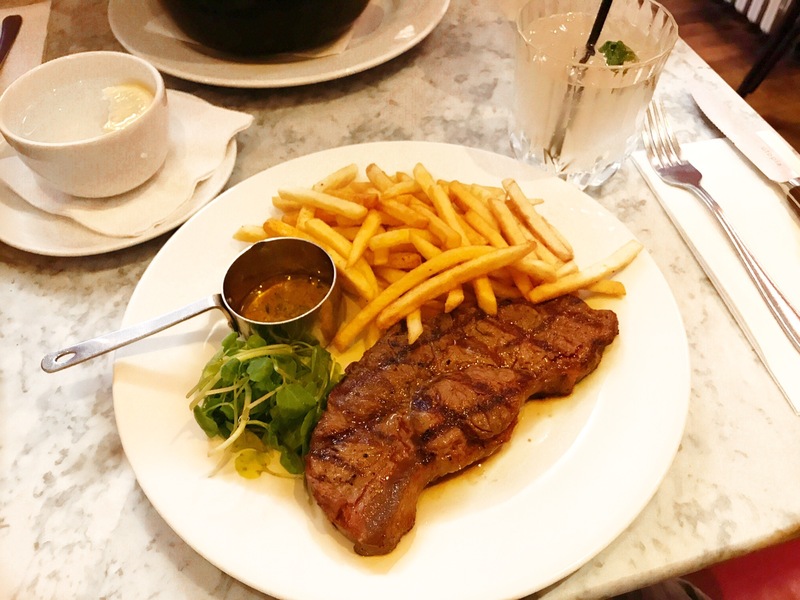 I went for a steak, since I’d never tried the steak at Cafe Rouge! I opted for the 8oz Sirloin with Cafe de Paris butter + fries. Connor said he felt the steak was missing a mushroom or a tomato or something, but I was quite pleased + wouldn’t have managed any more food anyway! The steak was perfectly cooked, something I am always pleasantly surprised by in chain restaurants (they tend to always overcook a steak! ), and melted in the mouth, especially once I drizzled the garlic butter over it. The fries at Cafe Rouge are super tasty too, they’re always really well seasoned! At this point we were stuffed and definitely didn’t need any more food, but I was having flashbacks of the Tarte Aux Pommes with Tarte Tartin Ice Cream so I just had to order it! It was every bit as good as I remembered, crisp pastry with soft apples, dusted in cinnamon with spicy ice cream, honestly one of the best desserts I’ve ever had. 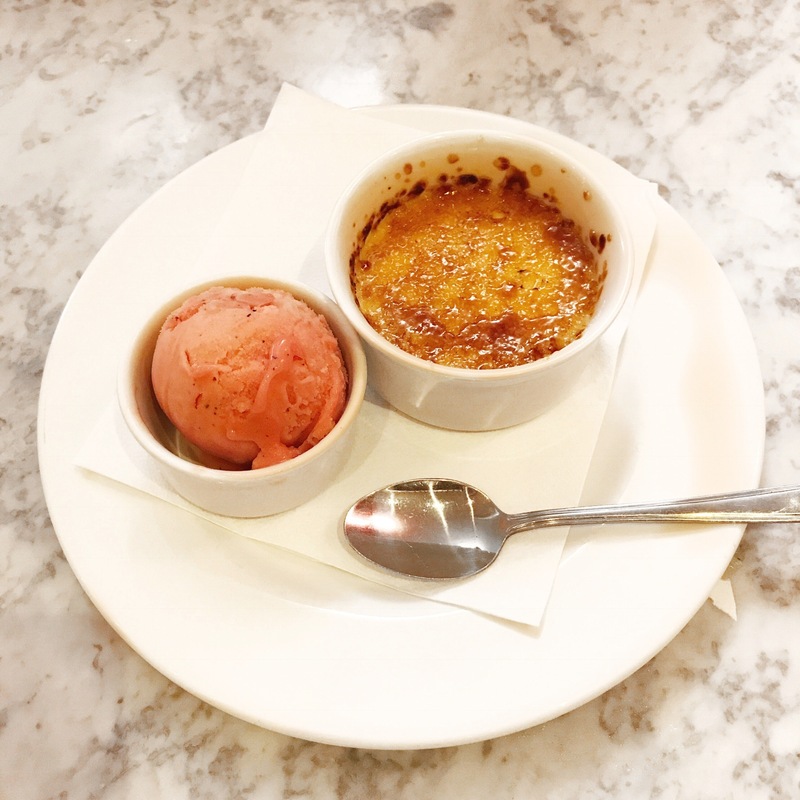 Con ordered the Creme Brulée which was blooming delicious, perfectly glazed and light and creamy, it came with a delicious Strawberry and Black Pepper Sorbet, which was really tasty too! Our meal was complimentary but all thoughts + overeating was entirely my own!